Is Winemaking a Craft or an Art? 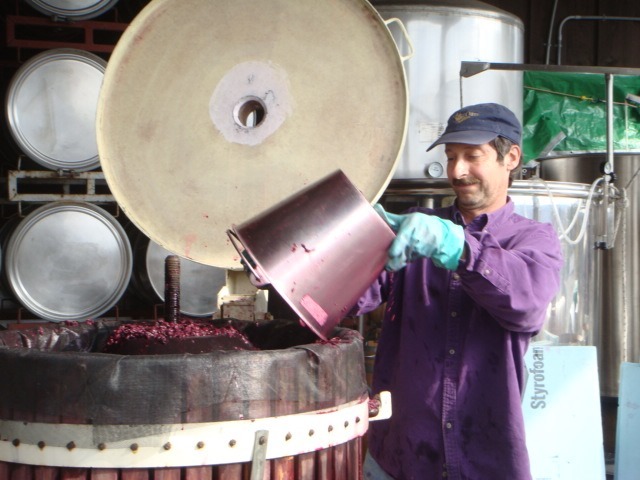 The claim that winemaking can be an art form tends to raise hackles. Tom Wark recently included it in his list of wine myths. The reason given for this reluctance to view wine as art is typically that winemaking is more accurately classified as a craft. So it is useful to note what distinguishes craft from art. The traditional distinction between art and craft comes from Kant, among others, who argued that crafts, regardless of how attractive, are useful for some purpose—pottery is used as a container, furniture is used to provide comfort, etc.—while art serves no purpose other than contemplation. But this view cannot explain architecture or music, both of which are arts that serve purposes other than contemplation. A more useful distinction is between objects that are created from a preconceived plan vs. those that explore boundaries and take on a life of their own as they are being created. The early 20th Century philosopher R.G. Collingwood insisted on this feature of a craft. A furniture maker knows before she begins what the final product will look like. A skilled carpenter knows the steps needed to create a work and the craft of carpentry is a matter of applying skill to raw materials in order to embody the idea in them. An artist, by contrast, may have only a vague idea of what the final product will look or sound like and she is using skill to explore and discover how the work should develop. The end only emerges in the process—there is no template for creating art. The artist is routinely as surprised as her audience. This seems to me to be in the right direction. According to this criterion, some wines are clearly craftwork, not art. Many wineries have a “house style”, a flavor profile they seek to achieve with each vintage, and their winemaker’s skill is in using technology and knowledge of winemaking to get as close as possible to that flavor profile. Most wines found on supermarket shelves are like this—their customers expect reliability. But some winemakers take a different approach. They wait until they see the grapes before deciding what to do with them. Once the grapes are sorted and fermentation begins they make further decisions about how to proceed but nothing is written in stone. There are always surprises each vintage that require techniques be adjusted and the target flavor profile be modified. Experiments using new techniques with uncertain outcomes are just part of the game with constant tasting and further adjustments in conception required as it becomes clear how the experiments are working out. For some winemakers, winemaking is an adventure full of uncertainty. The end product of course is a good tasting wine, but what that means is in doubt until it goes in the bottle. This is winemaking as an art. There is more to say about what makes something a work of art but simply referring to the craft of winemaking will not disqualify some wines. I have yet to hear a compelling argument that disqualifies some wines from being art.